I don’t care how you get there, just get there when you can, goes the song. 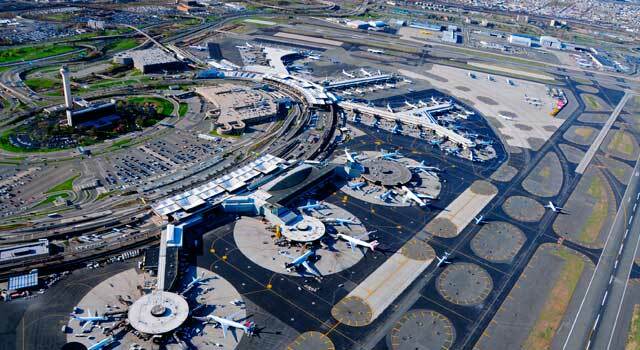 Ok, here’s how it goes in the city of Newark: If you’re traveling in the embrace of an airplane, come into Newark Airport, which has been beautifully restored and is kind of pink and dreamy in the wee small hours of the morning (another song). Think of the strange freedom of Georgia O’Keefe’s paintings of clouds, made in the stage of her career when she was about to start making her most iconic work. Just before. The start of something is so sweet. Like your trip to our city. Take the AirTrain from the airport, it will wind you around a curvy road picking up fellow world travelers (and their luggage too, be patient as everyone crowds in with it.) 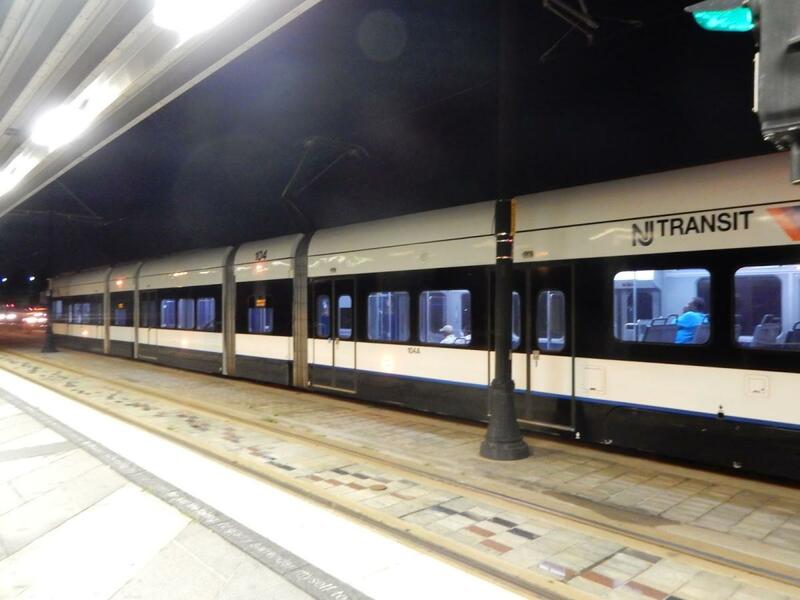 The train connects to NJ Transit, which goes to Newark Penn Station. It’s a quick trip- make sure you don’t miss your stop! From Newark Penn Station, you can connect to the PATH train (our name for The Port Authority of New York and New Jersey, and join the estimated 93,012,400 other souls annually who traverse the waters between these two states in the union. As someone from NJ, it can be hard to explain to people who haven’t lived this life of river-crossing what it is to always be, in the most literal sense of the phrase, between states. People do it all their lives, those of us who are from places whose socioeconomic and geological topography means we are border crossers. 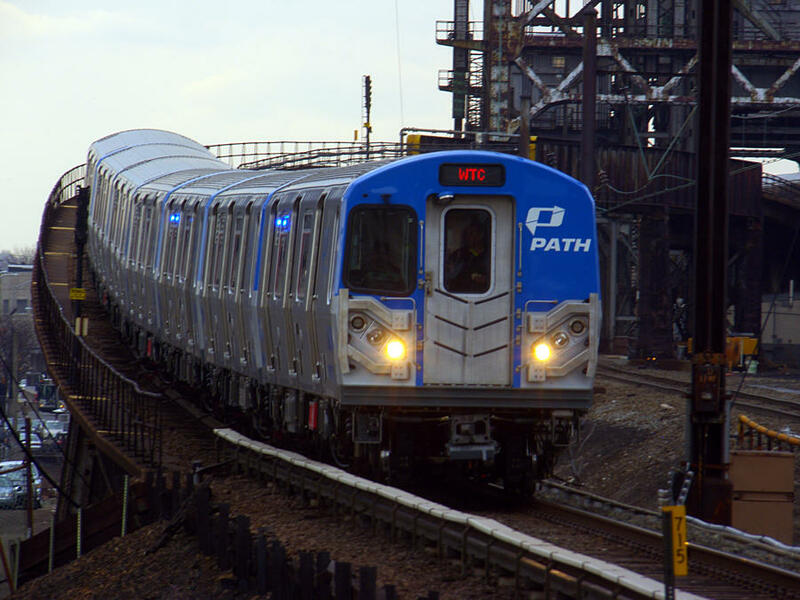 The PATH connects to New York City and this connection is part of what makes Newark so uniquely convenient for you, my visiting friend. I also think, perhaps, that I don’t really appreciate, being from this area, how extraordinarily well connected it is. A region that glows with lines of connection. A place where the humming thrum of what they call the Northeast Corridor line takes me past the red neon wings of the old sign in the shape of a bird atop the Budweiser plant tells me I’m home, so close to home. And when I long to run away from home, I get instead on AmTrack, and I can go almost anywhere in the country. Lyft and Uber divers are of course available in-city, while we are talking about conveyance. But try the bus too, and think of My Neighbor Totoro’s catbus, with the headlight eyes. 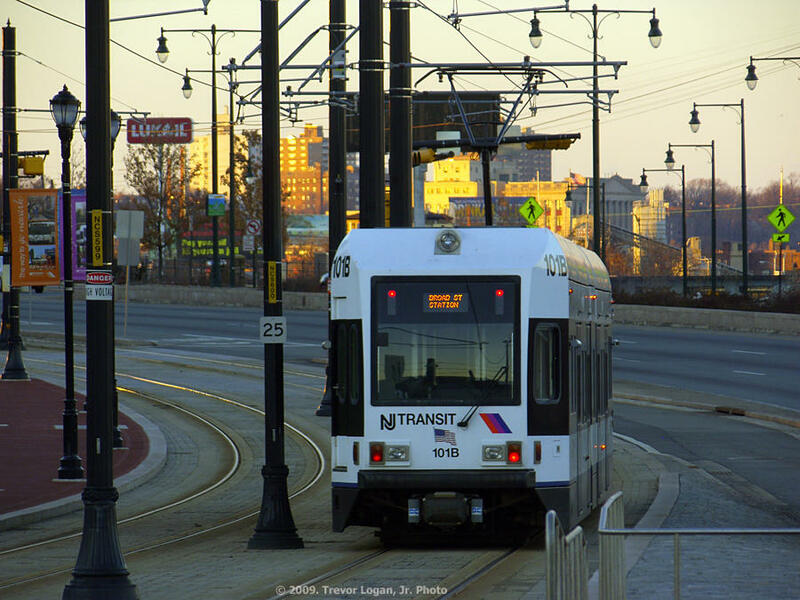 Or: the Newark Light Rail is a rather wonderfully diminutive, 6-mile line that starts one town over, Bloomfield, and wends through Newark, quite lovely for visiting Branch Brook Park, NJPA, and other jaunts. The Seashore Trolley Museum in Kennebunkport, Maine acquired an original car, #5. Look for the Sarah Vaughan (who sang all the songs) tribute in brass in one of the stations, I’m not gonna tell you which one. You have to sing it, swing it, and catch that train. The folks at City Lab (link here) have been working on an ongoing spotify playlist of songs about public transit. Enjoy.